The word “no” is my superpower. While I thrive on a diet of optimism, positivity and glass-half-full thinking, I have found that the word “no” has a healthy place in my busy life as a mom, wife and CEO of Odysseus Arms, a San Francisco advertising agency. While “yes” is the secret password to many of life’s magical experiences (“Yes, I’ll marry you,” “Yes, I accept the job,” “Yes, I want guac for an extra dollar”) the word “no” can be just as powerful in generating positivity, self-care, time management and higher standards for yourself and others. MISCONCEPTION #1: “NO” IS NEGATIVE. “No” is, by the strictest definition, inherently negative. But that is true only in a vacuum. I see “no” as incredibly powerful, because every time I say “no” to something, what I’m really saying is “yes” to something more important. NO to an 8:00 a.m. conference call means YES to a morning spin class. NO to after-work cocktails means YES to going home to help my son build his Soap Box Derby car. NO to a potential business opportunity means YES to inventing something awesome for an existing client. Once you begin seeing the flip side of “no,” you start removing some of the guilt typically associated with that response. MISCONCEPTION #2: “NO” KILLS CREATIVITY. The Golden Rule of improv comedy is “Yes, and . . .” It’s the belief that great work results from accepting other people’s ideas and attempting to add to them rather than rejecting them too hastily. This approach creates a safe space to try things and get weird. “What if we built a robot who sleeps under a mattress and makes people’s dreams bouncier? What if he had a mustache and the accent of a Boston cabbie?” (This was a real conversation that happened at my agency.) I believe in the power of “Yes, and . . .” and practice it regularly. Once the “Yes, and . . .” rule has been exhausted — and it happens — laying down a rock-solid “no” is a reasonable and important way to redirect employees. It saves time and often inspires the team to dig deeper and excavate new creative material, leading to more original solutions. It’s like pruning an overgrown tree. It prevents creativity from running amok. Constraints are lighter fluid for creativity in my line of work. We tell fifteen-second stories. We build brands with three colors. 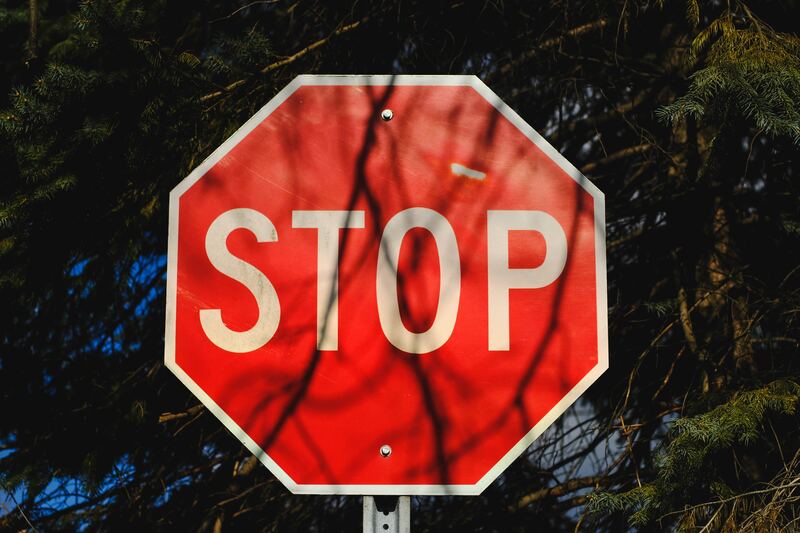 David Ogilvy famously said that a billboard should never consist of more than eight words; a strict list of “no’s” tightens the guidelines — it’s actually one of the secrets to building simple, iconic work. MISCONCEPTION #3: “NO” IS RUDE. Wrong. Flaking is rude. Tardiness is rude. Not giving your best is rude. It’s so much more professional to be up front about your availability from the get-go than to fall short on your commitments later. By being more selective with what I say yes to, I’m able to uphold my commitments — and thrive in the process. In my career, I’ve worked for people who were afraid to tell me no, too timid to call the ball. This has resulted in a significant amount of wasted time. I wish I could get back all the late nights I spent painstakingly developing an idea that my boss had already mentally dismissed. That’s why now, as a creative director, I respect my employees’ time by keeping it real when something’s not working. MISCONCEPTION #4: “NO” IS BAD FOR BUSINESS. Founder and CCO of global advertising agency la comunidad José Mollá once said that the first three projects you take on as an agency will define who you are forever. So we chose, and continue to choose, wisely (shout out to Cartoon Network, Amnesty International and Amazon for believing in us). I’m picky on purpose. When my agency commits to a project, it’s because we deeply believe in the creative and strategic opportunity. We don’t agree to anything half-heartedly. So once we say yes, we fully put our backs into it. MISCONCEPTION #5: NEVER SAY NO TO A CLIENT. Unlike the restaurant biz, in advertising, the customer is not always right. Agencies determine the menu. We’re hired for our vision and taste. If the customer orders meatloaf, we inform them it’s not on the menu. Then we smile, disappear back into the kitchen and cook up something that is more impressive and delicious than anything the customer could have ever imagined. So it is not only acceptable but critical for agencies to say no to clients when necessary. “No” is not a demon, not a failure, not a judgment. It’s not anything on its own, just as most words are relatively benign until put into context. When judiciously applied and for the right reasons, “no” can be the straightest line to success. Namer of Mother in London, Libby Brockhoff was 27 when she co-founded Campaign’s “Agency of the Decade.” As one of the only female agency owners in the industry (women make up 3 percent of agency leadership), she’s crafted advertising strategies for Silicon Valley darlings like Facebook, Microsoft, HotelTonight, and YouTube. She directed the reframing of the transgender narrative as the creative visionary behind the launch of Caitlyn Jenner’s on-air image. She activated Amnesty International supporters to help Obama’s Arms Trade Treaty pass in the United Nations. She served as a Cannes panelist for the 2017 Festival of Creativity. And she leads a dangerous team of equally-passionate professionals in San Francisco, as CEO and founder of Ad​ ​Age’s 2014 “Small Agency of the Year” (and next “Agency of the Decade”), Odysseus Arms.